Turn the tire hold-down wing bolt counterclockwise. Store the tire in the reverse order of removal. 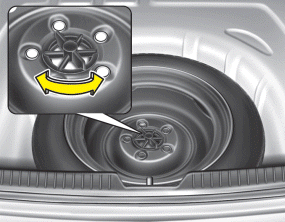 To prevent the spare tire and tools from “rattling” while the vehicle is in motion, store them properly.